It wakes you up, gets you going and gets your day on the right path. Now, you've got the chance to build a lifestyle and future around that perfect cup. That perfect cup of coffee, made just right and just in time, is now the perfect franchise, designed with you in mind. We only offer franchises to the right candidates that believe in the brand, want to be a part of our community, and are committed to success and a rewarding future with Ziggi's Coffee. Ziggi’s franchise candidates should meet the following criteria to be considered for a franchise opportunity. At Ziggi’s, the success of our brand is a direct result of the quality of our franchisees. Our selection process starts with choosing only the best candidates who share our commitment and enthusiasm for providing the full Ziggi’s experience. The total investment will vary from market to market, but the range is from $199,700 to $910,500. Single and Area Developers (availability to develop multiple units) are the Agreements available. Viable prospects will have a minimum available liquidity of $100,000 and a net worth of $350,000. Most importantly, candidates should have a passion for community, service and commitment to the success of the Ziggi’s Coffee brand. We are currently offering several business models to choose from. 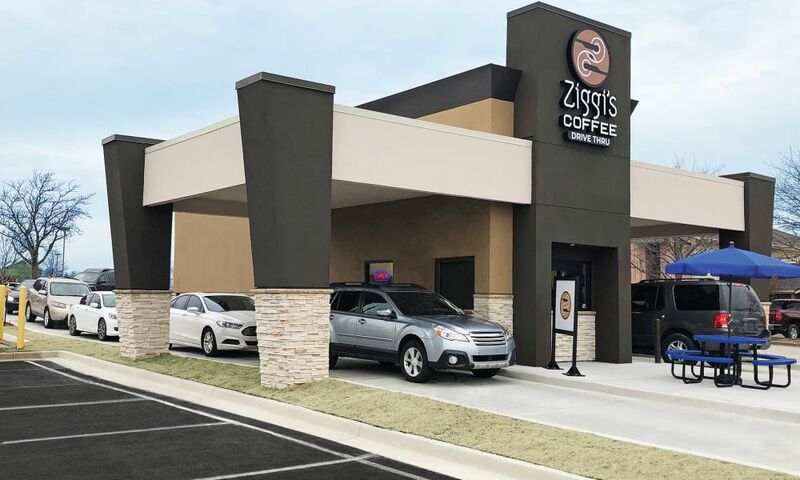 Ziggi’s Coffee offers a coffeehouse model, a coffeehouse with a drive-thru and a double-sided drive-thru. 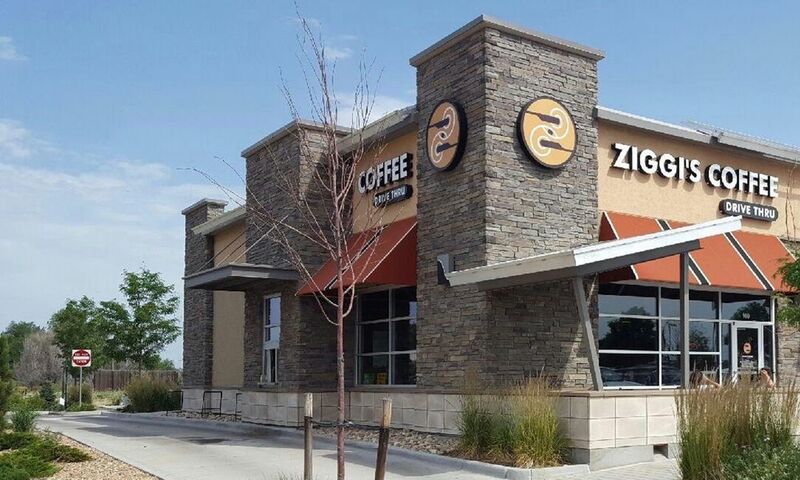 All models have unique qualities; currently, Ziggi’s Coffee is mostly focused on the development of its double-sided drive-thru model. This model serves only drive-thru customers from a freestanding building in a smaller size of approximately 250 to 500 square feet with no customer seating. The first step in our process and the most important of them all. In this first conversation we will get to know each other, give you an outline of the franchise, short history lesson about the franchise and bring you up to where we are at today. We'll talk about your goals and the timeline for the process. Next, we will take the time to learn a little bit more about your investment by conducting an initial review of our Franchise Disclosure Document (FDD). This informative document outlines the systems, rules and regulations that allow a good franchise system to act as one and thus protect the Ziggi's Coffee brand. Once you've reviewed the entirety of the FDD, we will follow up to help answer any questions you may have and ensure you understand the importance of the document in creating continuity for the entire Ziggi's Coffee franchise system. We'll also outline remaining steps for the remainder of the process. While you are continuing to do your due diligence, we’ll connect to check in on the progress and see how your vision is taking shape! At this stage, you should be working on your specific plans on what your Ziggi's business would look like! We will talk through the plan and begin to talk about final steps and set timelines and goals to finish the process. Congratulations! If you've made it this far, and are looking into making the final steps, you've decided that you want to become a Ziggi's Coffee franchisee! Here, we will gather some final information, including your final business plan, to help make our decision on awarding you a franchisee. This is it – game day! After a fun-filled Discovery Day checking out the Ziggi's culture, the Executive Team will conduct a final interview that will last approximately 30 to 45 minutes. If approved, we will fill out the agreement together to make you our newest and an official Ziggi’s Coffee Franchise Owner! A training and support program with the success of our franchise family at the core. Grand opening kits, custom press releases, branded print collateral and social media set-up and assistance. Through a partnership with Third Party Partners, we can offer you access to select financing that best fits your life. 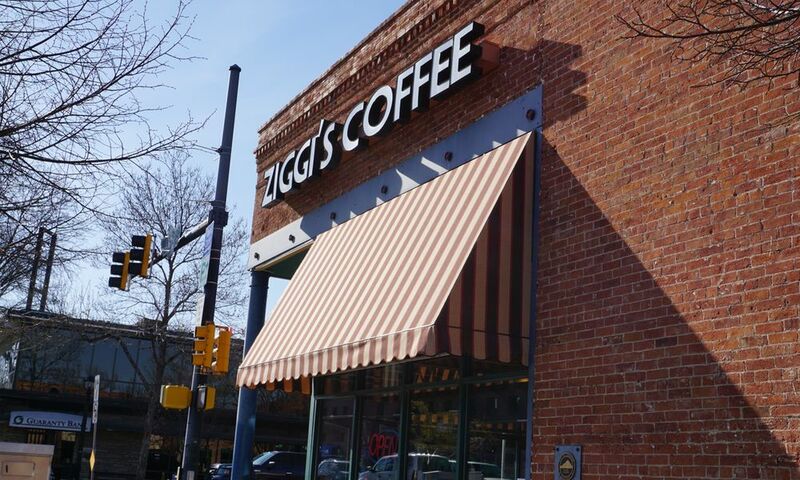 Learn what it's like to become a part of the Ziggi's Coffee team from some of our current franchisees. "The process of our store being built has been incredibly exciting! There are so many details to starting a business that we wouldn’t have known, but the entire Ziggi’s Coffee team, including Brandon and Camrin, have been fantastic at providing the necessary information and support along the way. We have been incredibly blessed with the opportunity to become the first franchisees with Ziggi’s. We love working with everyone and truly feel like a part of their family!" "I decided to look into, and ultimately become a part of, the Ziggi’s Coffee franchise system because I was in need of a change from my career path. I knew I wanted to own my own business one day, but would need the support in doing so, which is exactly what I’ve received from Ziggi’s owners, Brandon and Camrin. So far, they have been there for me through every step of the process and I could not embark on this venture without their ongoing guidance and oversight." Have questions? We've got answers! Read some of our most frequently asked franchise-related questions below. Ziggi's has year's of experience in selecting the perfect location and will be with you step by step to provide criteria for the right location for you and evaluate each site. What is involved in being a franchisee with Ziggi's Coffee? The Ziggi's process helps you achieve your definition of success. Our job is to help you clearly identify your goals and then give you the recipe and support to achieve and exceed your expectations. Owning a business takes hard work, commitment to succeed, and passion, our job is to provide the direction and support developed from over a decade of experience. You will have help, support, and guidance to customize your Ziggi's location to fit brand standards. Training systems and processes based on over a decade of operation experience with corporate owned location. Ziggi's Online University, manager hands-on training in Colorado, and opening team on-site training. Complete assistance in strategy for all aspects of marketing from pre-opening to opening and beyond with coupons, social media, and marketing efforts to drive traffic to your store. If you're interested in being part of the community, serving great coffee and building a financially smart future, we'd love to hear from you. Please submit the form below or give us a call at 720-358-1212.